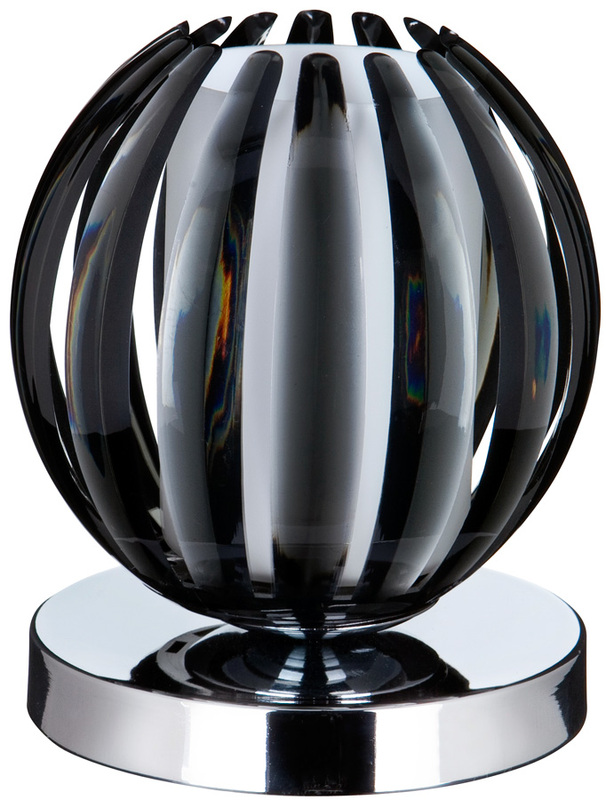 A polished chrome circular base holding ribbed smoked acrylic ball that resembles an opened chocolate orange. There is a central frosted tube shade in the centre for a softer light. Standing 140mm tall, this modern touch dimmer lamp has a three stage touch operation, alternating between on, low, medium, bright and off depending on how many times the base is touched, making it the ideal bedside companion. From our range of touch operated lights. Class 2 double insulated, no earth required. Switching a light on by a simple touch is both easy and convenient and we have a wide choice of touch controlled lights in our main section here. Most lights are also dimmable by touch too.